Always a bridesmaid never a bride. A couple of female friends and I sit comfortably in my living room sipping wine and playing catch up. The conversation is wonderful then here it comes. The mood takes a turn that I have no interest in because they always hate my outlook. I’m not wielding pom- poms! All from one jealous statement. “Why is Susan getting married?” “When will it be my turn?” Faces turn red, eyes are rolled! Negative and slandering statements are made about the soon- to- be bride. The male bashing begins!!! I reach for my wine in aggravation! Thinking about the character of each woman as a glance around the room. Two, are not married for good reason!!! No shade! My friends are quite aware of how I feel. Don’t get me wrong, I’m not perfect! If I was, I would not be single. I’m the woman who tries to fix men. I will find a bad boy and dress him in a suit and tie and call him “reformed”. LOL!!! But, if I know nothing else… I know my worth! As a woman, the one thing we should not do is measure ourselves against another woman. What is even more deplorable is stomping on another woman’s success. Shame on you! The woman in the mirror! Ever heard the saying… Why buy the milk if you can get the cow for free? I asked the women that question. Of course, I giggled at the looks of contempt. So, I explained myself. Half naked pictures advertising that you’re single. More than willing to sell your virtue for dinner and a movie. Maybe a trinket or a trip here and there. Why in hell should he put a ring on it? Newsflash ladies: Men are looking for a woman, not a girl using her looks and body for an opportunity. Listen for a moment! Do you hear that? Men are asking their counterparts, married homeboys, and mothers… Where do I find a virtuous woman? My brothers, guy friends, workmates, business partners ask me that very question. They claim to want a woman who is going to add stability to my life. I need an equal! You would not believe how men truly feel about women. If this is the type of woman I have to look forward to then why commit? So, men rather play the field and drink the milk of all the free cows roaming around. Once they get their fill or use up one, they move on to the other. You, my friend, are left empty and wondering what went wrong. Did you think he was the one? Stop giving up your power! He does not define who you are. Find your worth within yourself and you will attract he who is worthy of you. Decide what you can and will bring to the table and whether he is worthy to take a seat! It’s okay to eat alone!!! Once you realize that you’re worth more than rubies you will never again settle for being treated like costume jewelry. Don’t worry ladies, I know there are two sides to a coin. Part two will talk about those men who are “dazed and confused”. This post will depict a true and disturbing story about how I survived domestic violence. Hopefully my story will help other victims and build awareness. We met while in the Navy in Norfolk, Virginia. I was stationed aboard the USS Ross (DDG- 71), he worked in the medical facility as a hospital corpsman that also worked with the Marines. Our meeting was short lived due to my newly commissioned ship always out at sea. Our paths crossed again seven years later in Orlando, Florida and we picked up where we left off. 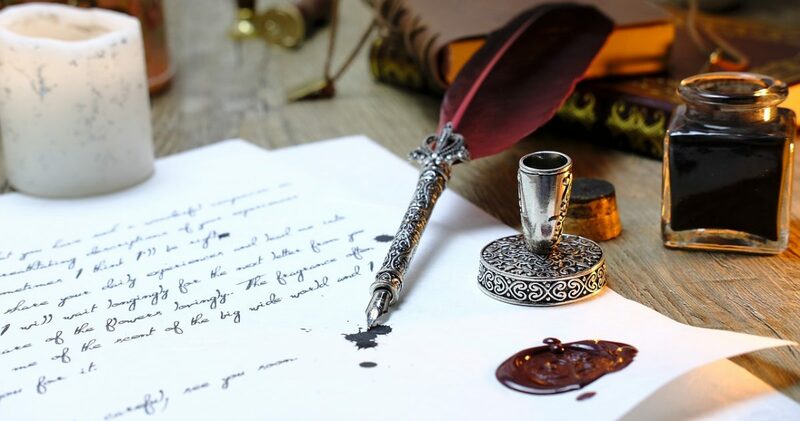 Good looking, great sense of humor and intelligent were the qualities that drew me in. I loved his company so much that a couple of months later I moved in with him. Despite the constant warnings from my roommate to wait and take things a bit slower. There were no signs that this guy had deep routed issues. It started with what I thought was just a little jealousy. I was a personal fitness trainer so of course he inherited a free membership and would come to the gym to workout. His workouts would consist of him watching me interact with my male clients and co- workers. Daily, I would be interrogated regarding my many conversations with these men. If asked how my day went, that meant specifics about everything from who I worked out with to what I ate for lunch. One day he came in and noticed the general manager and I in an office talking. When we exited he grabbed my arm with such force that I thought it would break. I was ushered out of the fitness facility across the parking lot over to my car. He began to yell about my flirting and demanding to know how long I had been cheating with my boss. My denial of his ridiculous accusations went unheard, later that evening I was locked out of the bedroom and forced to sleep on the couch. The next day he was very apologetic, he was inconsolably crying stating that his ultimate fear was losing me to someone else. As time passed his fear and jealousy evolved into a need to control me. It began with the breaking of my spirit! Each day at some point he would find time to tell me I was useless due to the fact that I was no longer employed. He strategically sabotaged my ability to gain employment. He was unable to find unemployment due to his inability to keep a job and bad references. Insults were frequent, ranging from how I resembled a man because of my toned body and that I was not as pretty as I thought. He made sure to inform me that the mothers of his children were very beautiful women. The aggressive pulling and shoving turned into slaps and punches. There was an incident when we went out dancing with his best friend and his girlfriend. The night was the best night we had in a long time. We all enjoyed our night, we danced the night away. Who would have thought it would have ended with him repeatedly slamming me against a wall and blood streaming down my face? A mounted picture hit me on the head resulting in a gash not deep enough for stitches. He refused to take me to the hospital, he was medically able to attend to my wound. This was punishment for innocently dancing with another man. Finally, Dr. Jekyll exposes his Mr. Hyde. What type of man chases a woman out of the house in the middle of the night? Running after me like a raging lunatic because I was too busy at work to return his call. Once he caught me, I was thrown to the ground and kicked repeatedly. Supposedly I was up to know good and attempting to leave him. As if this is normal behavior he picked me up carried me back into the apartment, tucked me in with a kiss and cuddled me as if nothing happened. Whispering in my ear that he loved me and would do anything to keep me in his life. He loved me more than life itself!!! This tough, expert shooting, adventure seeking Navy girl was indeed broken. I often would ask myself… How did I get here? This question came mostly while nursing bruises. It’s not always the women who are timid or that have low self-esteem that are victimized. That is definitely a misconception that allows the signs of domestic violence to go unnoticed. Domestic violence often starts with brain washing and the breaking of the victims’ spirit. My abuser started with verbal abuse that progressed into brain washing and physical abuse. “I would never be in that situation”. The same statements were made by me until I became a victim. I learned the offender finds the weakness of his victim and prey on them. My fiancée was very manipulative. He used the fact I was the primary bread winner. Repeatedly reminding me that he was unable to find a job, he would lose the condo and become homeless. He would say… “I will die without you.” He would cry and tell me he was not mentally well and needed help. Often thinking back to who to the person he used to be; hopeful that person still existed. So I stayed!!! The opportunity to leave was always there. Packing up the car and moving to another city and state lived in the back of my mind. Family and friends would have welcomed me with open arms no questions asked. They would have been my support system, not to mention my brothers and male friends would have beat him senseless. Most families like mine are unaware of what is going on behind closed doors. The abuse is a secret kept out of both fear and embarrassment. Not all victims have a support system to confide in or run to. Antisocial behavior, especially if the victim is ordinarily very outgoing. Nervous or fearful around partner. Partner shows signs of extreme jealousy. I said “No More” after a night out with him and a female friend of mine. We originally planned for a girls’ night out but of course that was not allowed. After having a few drinks, we decided to spend the night at her condo to avoid the thirty-minute drive home. Sleepy and inebriated from the drinks I crawled into bed and ignored his sexual advances. Irate by my refusal he began to his usual yelling and insulting behavior. Fed up, I decided to go sleep on the couch. As I started for the bedroom door he grabbed me by the arm, spun me around and punched me in the jaw. Immediately, I saw stars and something inside me snapped simultaneously. I remember the first swing of the lamp from the bedside table then looking into the eyes of my friend. She was screaming at me…” Stop!” “Snap out of it!” Apparently, I had blacked out. Glancing over my shoulder, I could see him on the floor with blood streaming from his head, nose, mouth and eyes. I had no sympathy for him, just a heart full of disgust. To make a long story short. I drove myself to the police department to make a report. I remember standing in a room in a pink bath robe as a female officer took pictures of my face and all the bruises on my body. I drove to our apartment packed what I could in a hurry and left for good. All stories don’t end this way! Stories of this nature would not have to be shared if we as a community get involved. We all can say “No More” to all types of abuse. 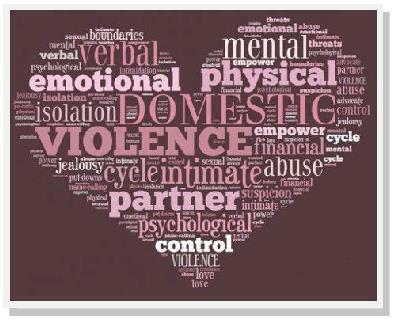 12.7 million people are physically abused, raped or stalked by their partners in one year. Domestic violence should not be tolerated. Report what you say and hear, refuse to turn a blind eye to all types of abuse. 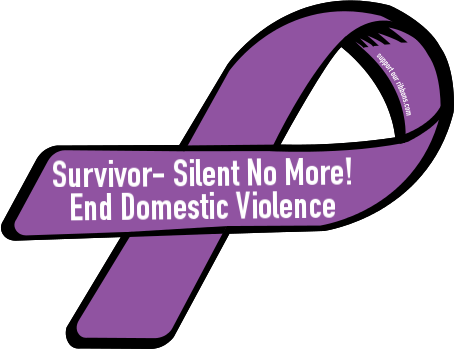 Please… say “No More” to domestic violence, let’s save lives. Author LydiaPosted on October 26, 2015 March 24, 2016 Categories Domestic Violence, Speaking Out...For a Cause!! !Tags #No More, #Violence, Abuse, Abuse Against Women, Awareness, Control, Cycle, Domestic Violence, Emotional, Empower, Fear, Help, Hurt, Jealousy, Lives, love, Men, Mental, Partner, Physical, Secret, Silence, Speak Out Against Intimate Partner Abuse, Stop Domestic Violence, Support, Survivor, Victim, Warning Signs, Weakness, women3 Comments on I said… NO MORE!! !